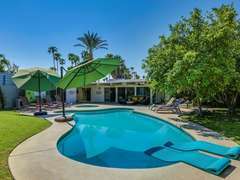 You and your guests will love the beautiful mountain views, sparkling private pool, midcentury modern style, and fantastic amenities of this 4 bedroom Palm Springs Getaways vacation home. 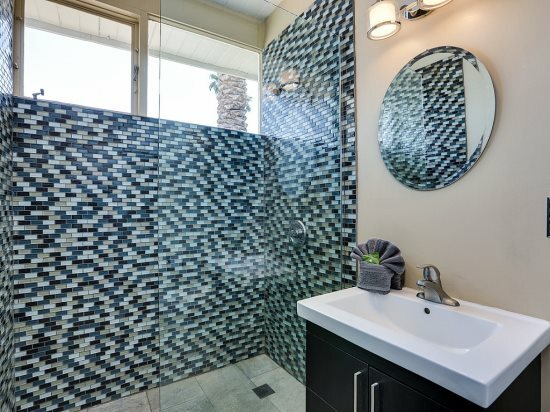 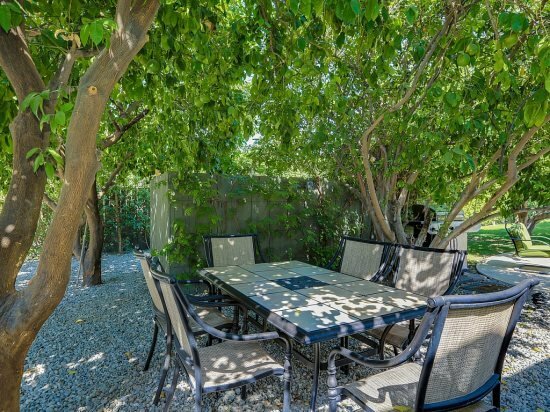 Discover hours of relaxation and coming together with friends and family in this Palm Springs Getaways rental home`s ultra-private backyard offering a free form swimming pool and a separate in-ground whirlpool spa. 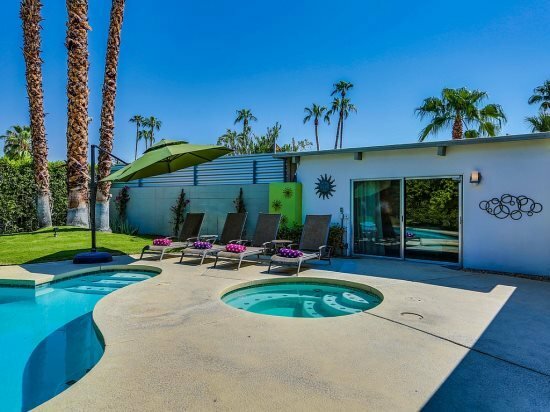 Featured in Palm Springs Modernism Week`s Tour of Meiselmans, this unique midcentury modern Meiselman home was built in 1958 and updated with modern finishes and amenities in 2013. Meiselman homes were built in the 1950` and 60` and are characterized by crisp clean lines, butterfly roofs, soaring clerestory windows, and post and beam construction, with tongue and groove ceilings. You`ll find walls of sliding glass lead from the main house and the detached guest bungalow out to the lushly landscaped backyard with everything you need to enjoy your vacation in the Palm Springs sun, including 2 large rotating cantilever umbrellas, 6 lounge chairs, a covered patio with 2 ceiling fans, outdoor dining for 6, a gas BBQ grill, fruit trees, and a custom built-in gas fire pit with comfortable seating for 4. 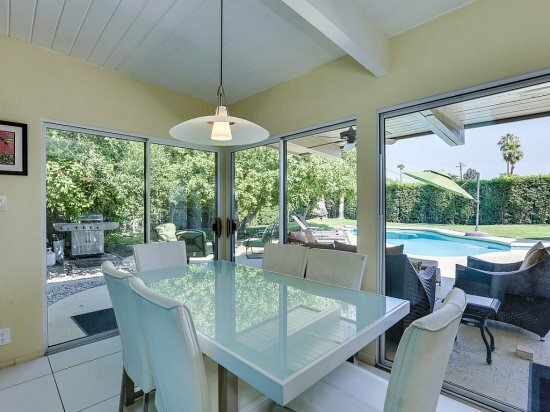 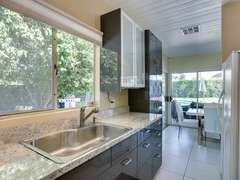 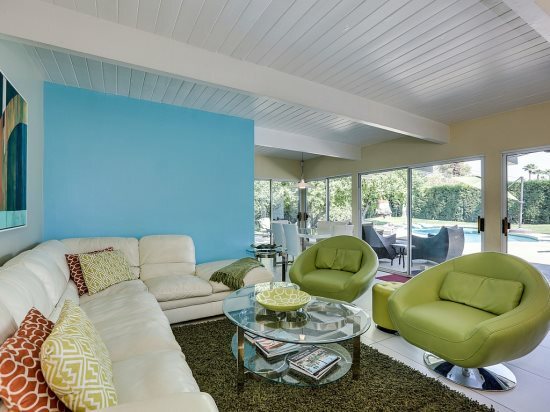 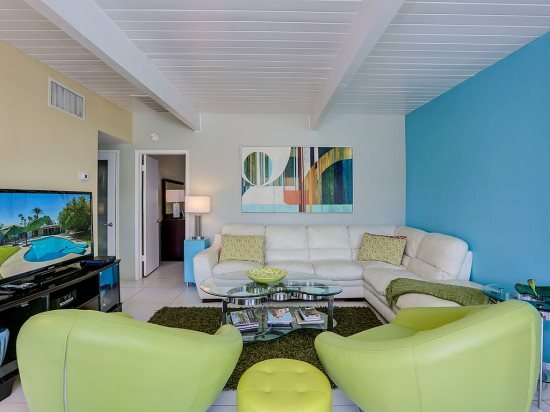 Inside the main house of this bright and sunny 4 bedroom Palm Springs vacation rental you`ll find a stylish, open living and dining area, updated kitchen, 3 bedrooms, and 2 bathrooms. 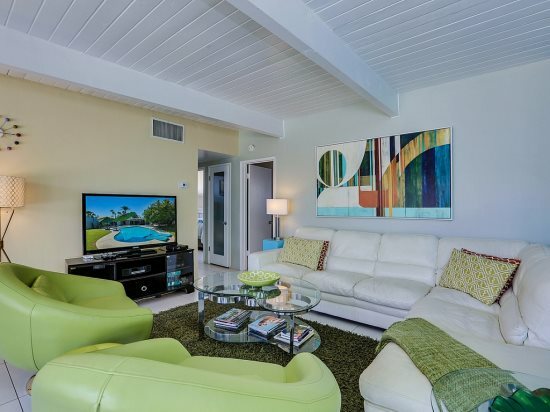 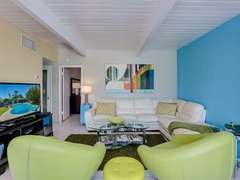 The living room is bright and colorful with comfortable modern furnishings, a 52" high definition flat screen TV with BluRay player, and wall-to-wall sliding glass doors that open up to the private backyard oasis. 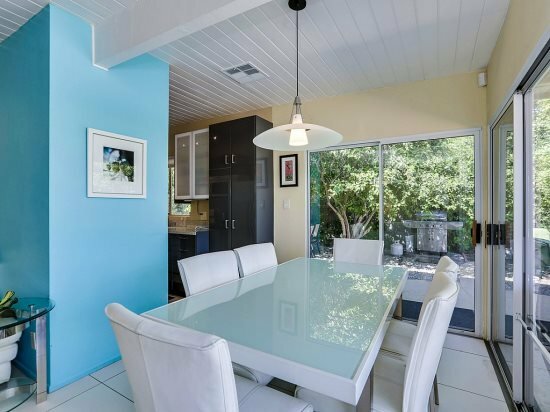 Get together with friends and family with a board game or for a home-cooked meal at the indoor dining table with seating for up to 8. 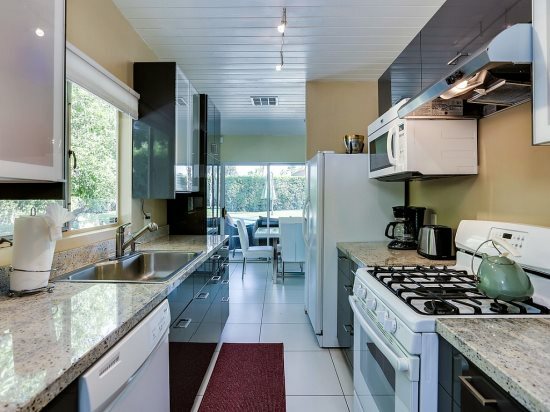 The kitchen is fully equipped with everything you`ll need to prepare delicious meals and entertain guests. 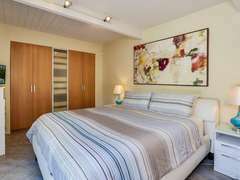 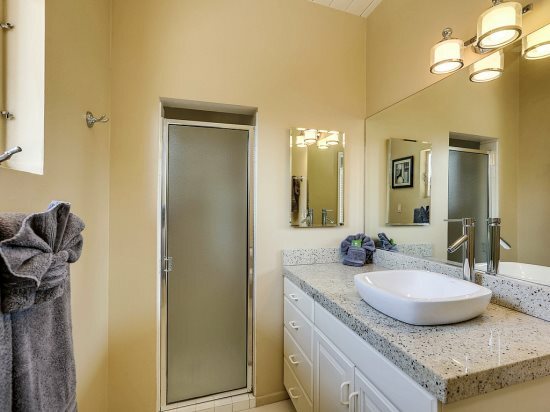 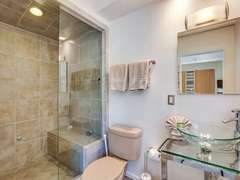 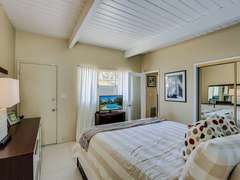 The master bedroom of this Palm Springs Getaways rental offers a cal king size bed, 32" HD-TV, and an en-suite bathroom with walk-in shower. 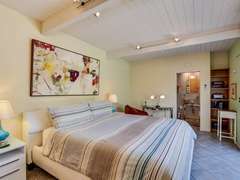 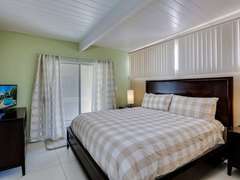 The two guest bedrooms in the main house are appointed with cal king size beds and 32" HD-TV`s and they share a guest bathroom with a walk-in shower. 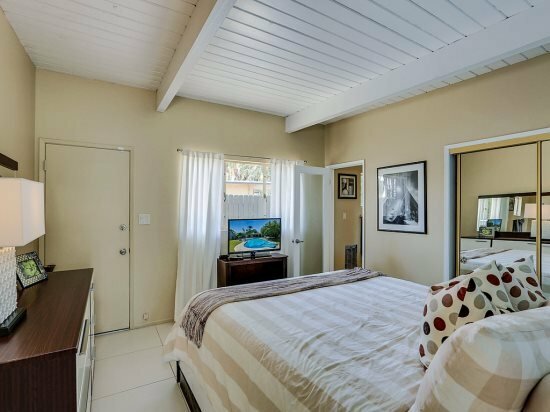 The detached bungalow has a separate entrance from the main house and features a spacious bedroom with a cal king size bed and 32" HD-TV, and its own private bathroom with walk-in shower. 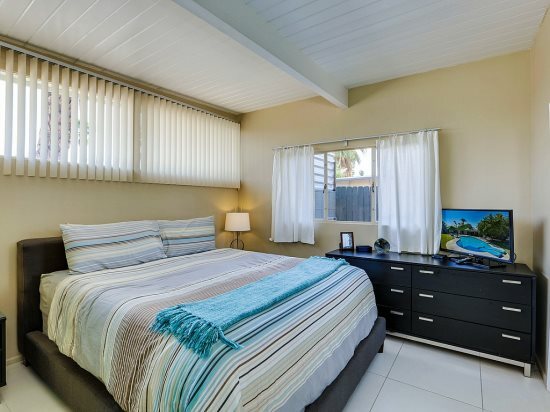 This home`s modern amenities include free high speed WiFi, unlimited calling to the US and Canada, iPod Docking, and High Definition flat screen TV`s in every bedroom and the living room. 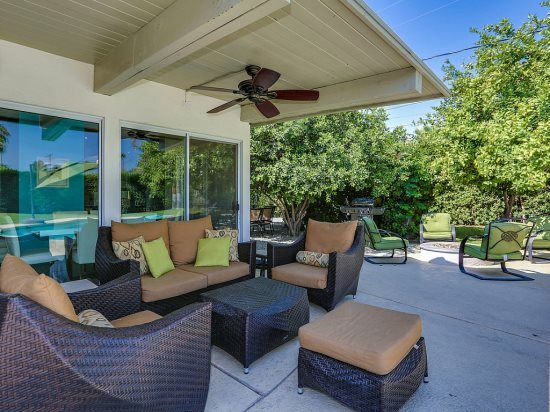 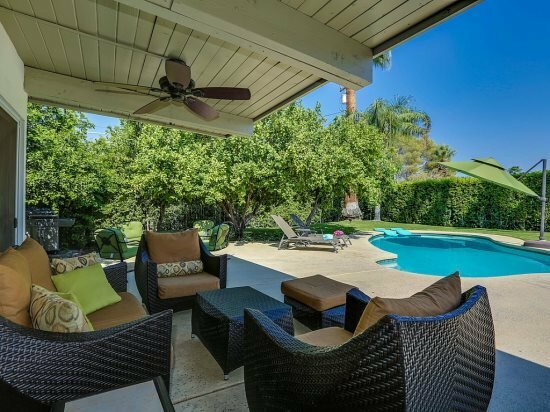 Conveniently located in the Little Beverly Hills neighborhood of Palm Springs, this 4 bedroom vacation home is a short drive to downtown Palm Springs with great local shopping, restaurants, and nightlife. 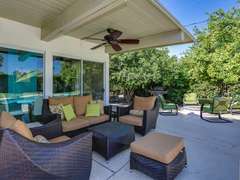 Don’t miss out on this amazing home. 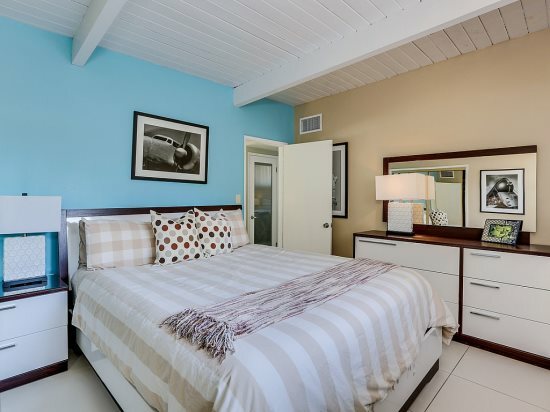 Book your Palm Springs Getaways today!